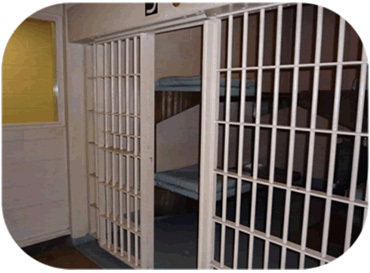 No matter where you are from; if you are arrested in the Costa Mesa Jail you will need a local bail bondsman. Our agents are ready to get them out immediately. To locate your loved one or to find out the crimes with which they have been charged; please call us at 949-249-2999. When you call you will speak directly with the one of our family members who will answer all of your questions in a professional, yet friendly, manner. We will spend whatever time is necessary to answer your questions and to understand your situation, before making suggestions, then you will decide if posting bail is the most logical and cost effective thing to do. Please call us now for immediate bail bond service. We are looking forward to helping you. The Costa Mesa Jail is located at 99 Fair Drive, Costa Mesa, CA 92626, just across the street from the Orange County Fair Grounds. Upon posting of the bond; the release time from the jail is usually 20 to 30 minutes. If bail is not posted at the Costa Mesa Jail; often the inmates are transferred to the Orange County Main Jail located directly across the street from our Santa Ana bail bonds office. The release time at OCJ is usually 4 to 6 hours. The police function is to maintain social order within prescribed ethical and constitutional restrictions. The completion of this mission involves: prevention of criminality, repression of crime, apprehension of offenders, recovery of property, regulation of non-criminal conduct, and performance of miscellaneous services. These objectives are accomplished through the enforcement of local, State, and Federal laws adjunct by specialized crime prevention programs. The Costa Mesa Police Department jail is a 32-bed, type-1 jail facility. The jail houses arrestees prior to going to court or being released, typically from 24 to 48 hours. The Costa Mesa jail also houses sentenced inmate-workers, who handle food service and maintenance. 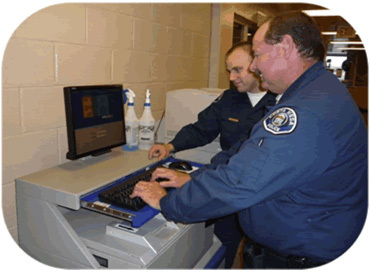 The custody staff utilizes state-of-the-art technology to monitor inmate activity, process booking fingerprints and photographs, and to ensure the utmost safety and welfare of those housed in the jail. Additionally, the jail custody staff facilitates the transportation of inmates to court and also manages the department's critical role of the court liaison officer. This officer maintains an office at the Orange County Superior Court's Harbor Justice Center and is responsible for processing all criminal complaint filings and subpoenas, as well as calling police personnel to court. The court liaison officer works closely with the Orange County District Attorney’s Office and other court officials.